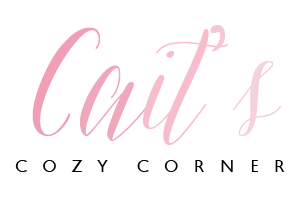 Cait's Cozy Corner : Quickly Clean Your Toilet In Under 15 Minutes! Quickly Clean Your Toilet In Under 15 Minutes! If there is one thing I hate to clean, it's the toilet. Ugh I just get extremely grossed out by getting it clean and with 5 of them in our home, it does tend to take me a while to get them super clean. However, when it does need a good scrub down, I figured out a way to get it looking and shining its best in 15 minutes so now I don't mind it as much! 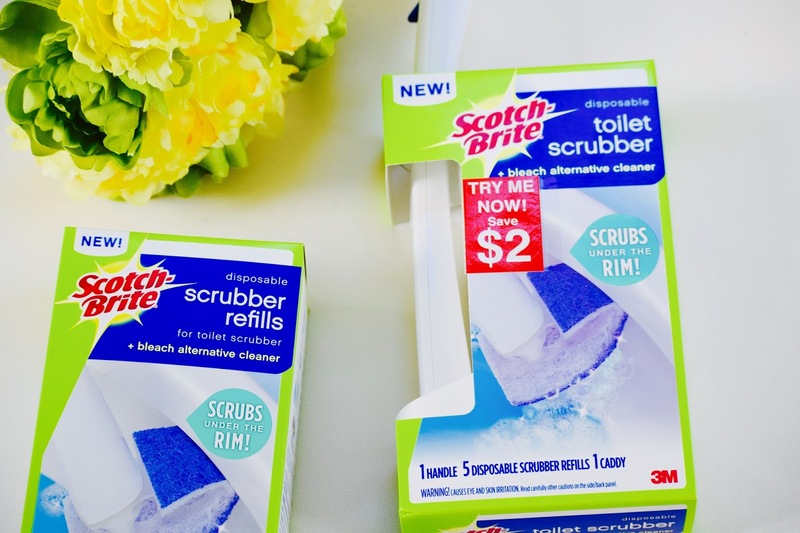 Here's what you'll need to get your toilet looking and smelling fresh. 1. 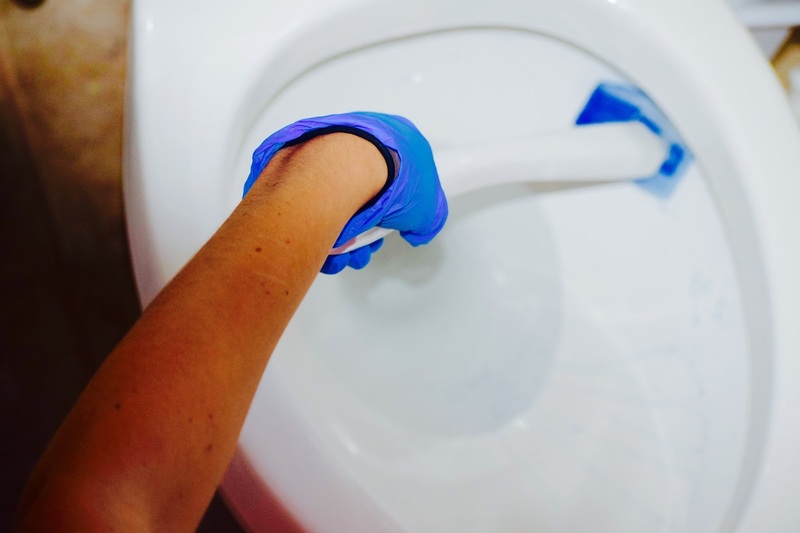 Grab your tools- If you're repulsed by the thought of cleaning a toilet, you'll want to have everything you need ready to go beforehand so the process is as quick as possible. Grab rubber gloves, which are essential, plus as many of the following things as you can find: a toilet brush, sanitary wipes, an old, out-of-use toothbrush, clean rags (or paper towels), and/or toilet cleaner. 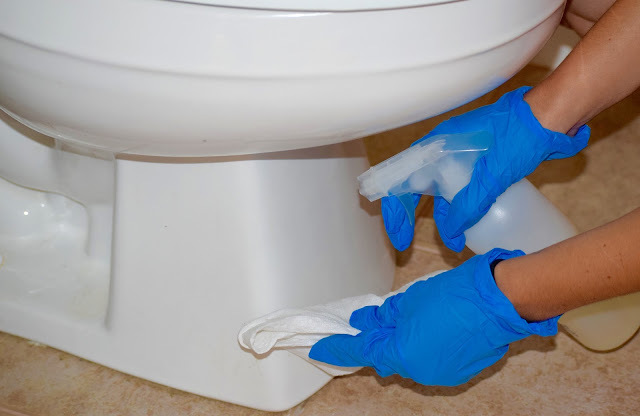 Here's a sanitation tip - keep a pair of rubber gloves solely for the purpose of cleaning the toilet. Buy them in a distinct color that's different from every other pair of gloves you own. This way, you won't accidentally use them for washing dishes, etc. because yes..I have done it before and it's NOT fun ha! 2. Scrub the bowl- You can clean the different parts of the toilet in any order you like, but, if you're in a hurry, you may find that it's smartest to start with the bowl. This way, if you splash any dirty water out of the bowl while you're cleaning it, it won't get parts of the toilet that you've already cleaned dirty. 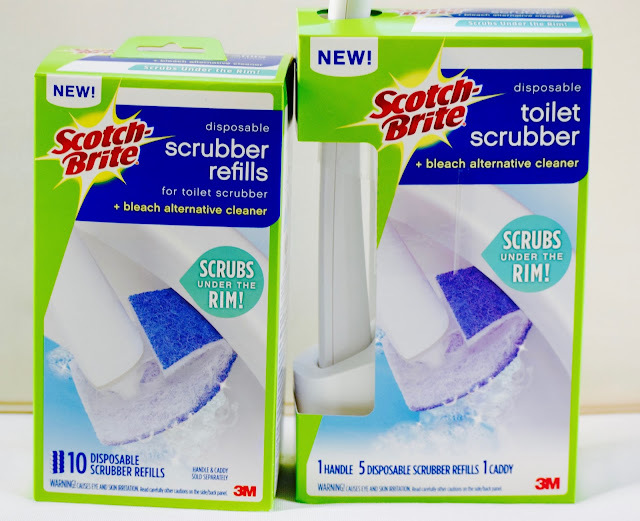 Thanks to Scotch-Brite™ Brand, they created a Scotch-Brite® Disposable Toilet Scrubber . This tool helps to eliminate stains and grime that may have caked around your toilet due to its powerful no-scratch scouring and intense foaming action. I also love that it leaves a lemony fresh smell with it's built-in bleach alternative cleaner. 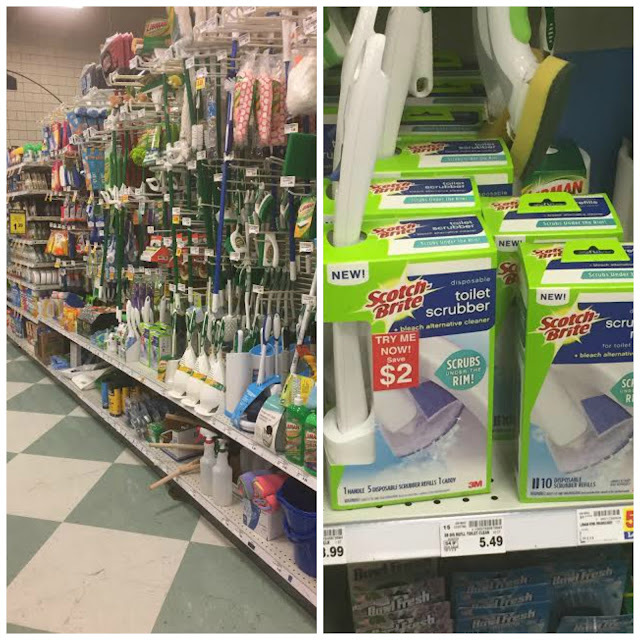 Worried about what to do after cleaning? There are also disposable refills so when I'm finished, I can put a new one on right away! The flexible head designs allows maximum contact with the toilet bowl plus easy to slip on and off the handle. 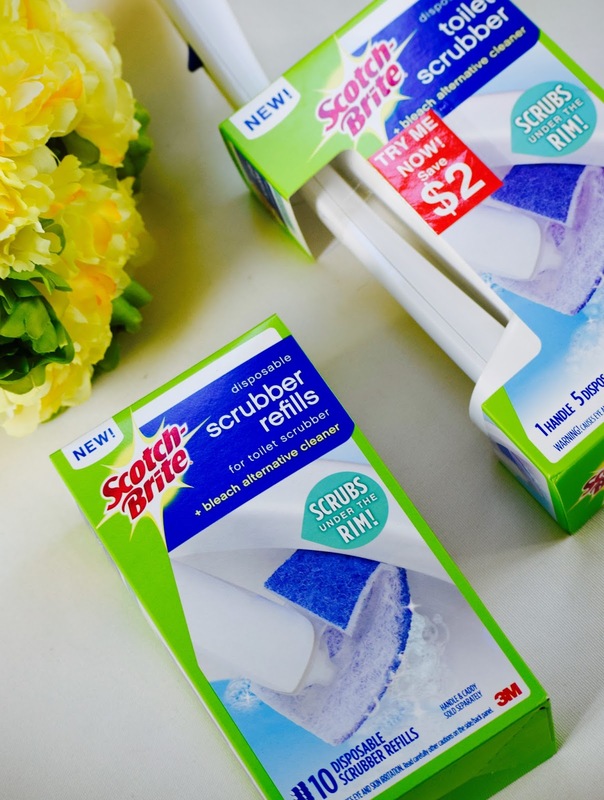 It's exactly what you want to use when getting that toilet bowl scrubbed clean! 3. Clean the lids- Now that you've cleaned the bowl, it's time to clean the main points of contact - the top and bottom lids. 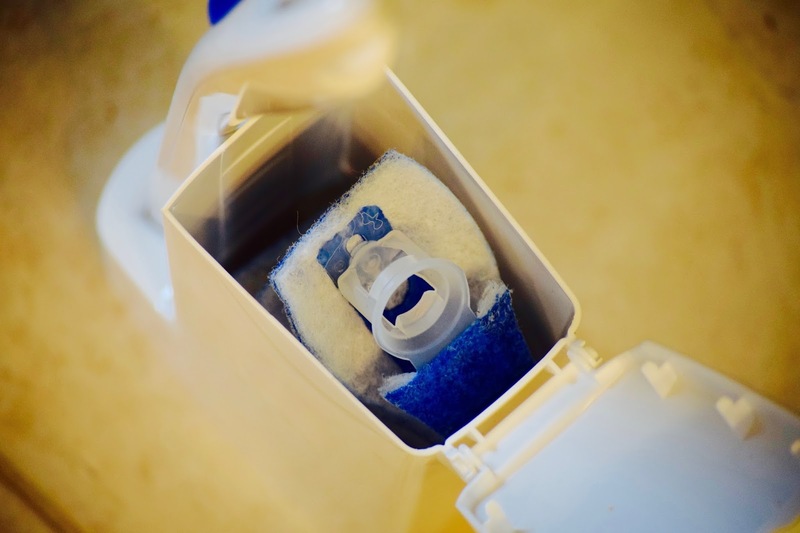 Use all-purpose cleaner and rags/paper towels (or disposable sanitary wipes) to give both the lids a quick but thorough cleaning on both sides. If you want to, use an old toothbrush to scrub the hard-to reach spots between the lid and the body of the toilet as well as the hinges. 4. Give the body of the toilet a quick wipe-down- Finally, it's time to give your toilet's porcelain a squeaky-clean shine. Using a spray bottle, mist the exterior of the toilet with all-purpose cleaner. Use a rag or paper towel to wipe down the toilet's porcelain, paying special attention to the handle. Alternatively, you may simply dip a rag or paper towel in cleaning solution or warm water, re-dipping the rag or towel when it is soiled.Start cleaning the highest point on the toilet first - this way, if dirty water or cleaning fluid drips down, it will only touch areas you haven't cleaned yet. 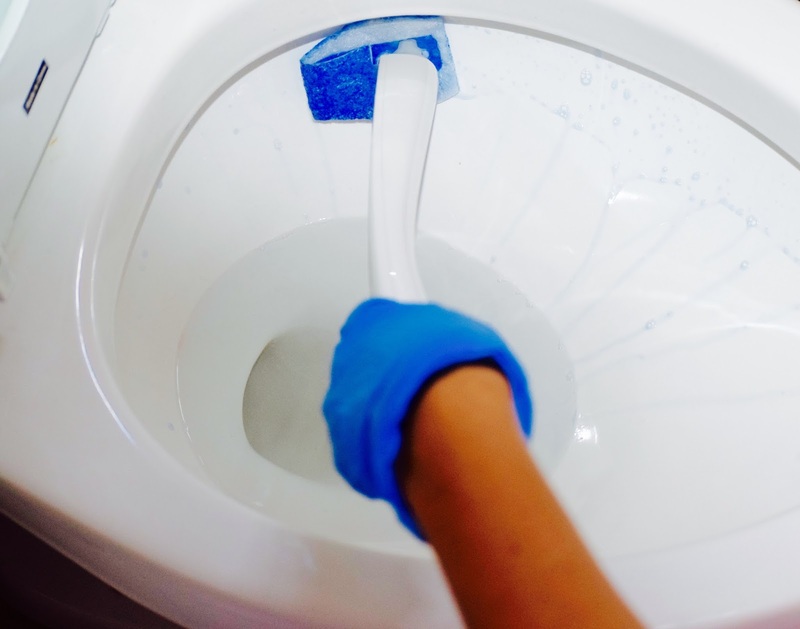 Don't forget to clean hard-to-see areas like the base of the toilet and the back of the tank, which faces the wall. To successfully clean these areas, you may need to use pipe cleaners or a tooth-brush. As a precaution, wash your hands after taking your gloves off. Small amounts of water may have splashed inside the gloves while cleaning. If your toilet only needed a quick, "light" clean, congratulations - you're done! While I was shopping at Kroger, I found Scotch-Brite Disposable Toilet Bowl Scrubbers and the disposable re fillers! 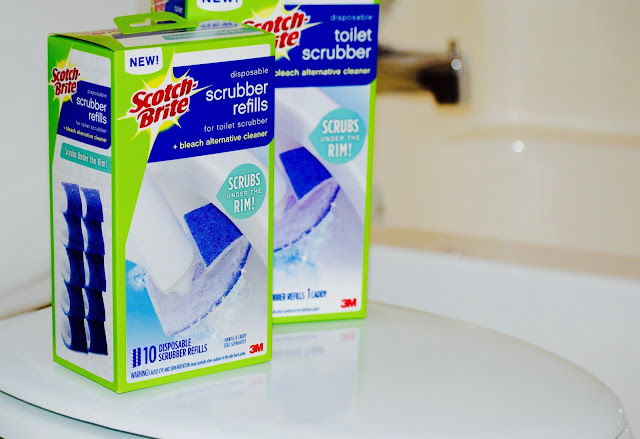 Look for the Instant Redeemable Coupon on the Scotch-Brite® Disposable Toilet Scrubber: “Try Me Now! 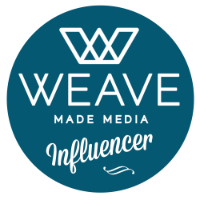 Save $2”. 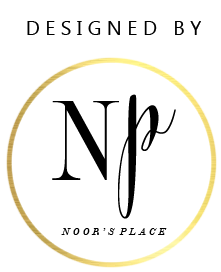 The coupon can be redeemed at the register upon checkout. Visit this site to see what other bloggers have done with their Scotch-Brite Disposable Toilet Bowl Scrubbers. 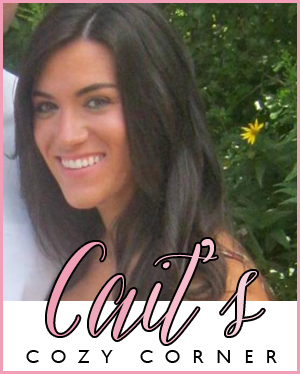 What are your easy clean up routines? 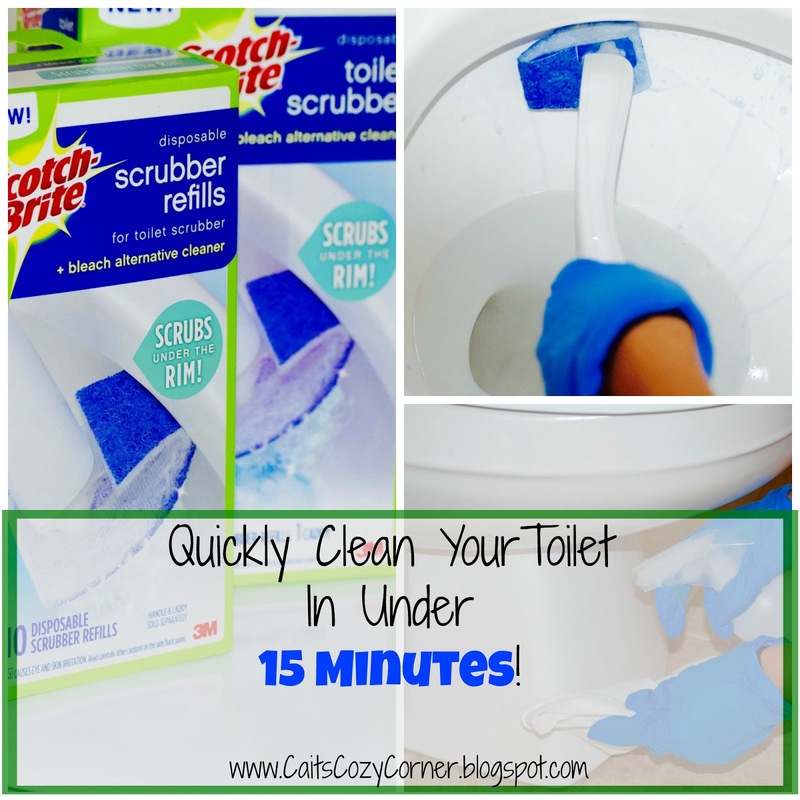 How quickly can you clean your toilet?